Known for such hits as Just To Be Close To You , Easy and Brick House , to name a few, the Commodores were one of the top bands during their long tenure at Motown. The group is credited with 7 no. 1 songs and a host of other Top 10 numbers on the Billboard charts. They also have a vast music catalogue that has generated more than 50 albums, and the recordings continue to be in demand. The members of the Commodores, came together as a result of two groups disbanding: the Mystics and the Jays. Initially, the line up consisted of William King (trumpet), Thomas McClary (guitar), Ronald LaPread (bass), Walter “Clyde” Orange (drums), Lionel Richie (sax) and Milan Williams (keyboard). After experiencing succes in securing dates in their own backyard, the band ventured to New York City for a gig at the Smalls Paradise Club. The owner booked the band for two more weeks. The Commodores association with Motown was a result of the group touring with the Jackson 5. They toured with the Jackson 5 for two-and-one-half years, and their presence on that tour ultimately solidified a deal with Motown. Their first release on Motown was the up-tempo instrumental dance cut Machine Gun . Written by Milan Williams, the song gave the group immediate attention with its Top 10 outing (Billboard number seven, 15 weeks). That number was followed by the Top 20 single I Feel Sanctified , which lead to their third single and first number one record in Slippery When Wet . Inside of 17 weeks, the Alabama-based septet was rocking the radio waves with their Southern funk spiced with an animated vocal delivery, courtesy of Lionel Richie and Clyde Orange. In September of 1976, they released Just To Be Close To You , their second no. 1 single and a no. 7 pop hit. The Top 10 hit Fancy Dancer followed, and then came Easy . It claimed the no. 1 spot on the charts, and it paved the way for the style of ballads the group would later be known for. However, soul and funk was still very much present in spite of the benevolent rhythms of Easy . Brick House cracked the Top 10 at no. 4. The irony is that Brick House was the last song recorded for the group’s self-titled album. Two consecutive no. 1 singles would follow: the dance cut Too Hot Ta Trot and the placid number Three Times A Lady . And then there was Still . The last no. 1 for the group with Richie as a member. Before his departure in 1982 the band had a string of hits which included Old-Fashion Love , Lady (You Bring Me Up) and Oh No . 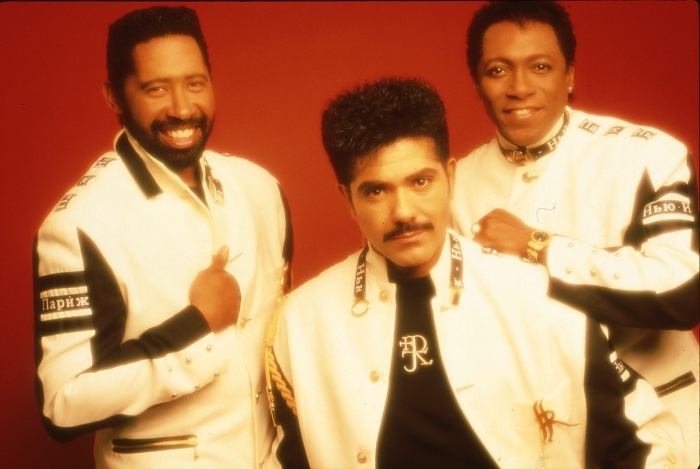 However, the Commodores had many songs that were not released and never charted, but were and remain favourites among many. The most notable being Zoom . A simmering ballad in which Richie patiently sails through the utopian lyric; truly an R&B classic . In the absence of Richie, the group courted the talents of tenor J.D. Nicholas (formerly of Heatwave) and would go on to release its biggest hit. That occurred in 1985, when Nightshift was released. Penned by Clyde Orange, the song pays to tribute to the late soul singers Marvin Gaye and Jackie Wilson. Orange and Nicholas’ co-lead the nostalgic number which navigated its way to the top spot on the charts and stayed there through four consecutive weeks; it also won the group its only Grammy. 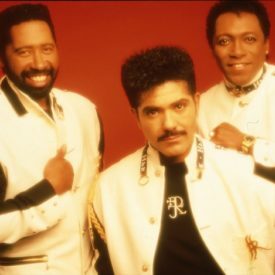 The Commodores left Motown in 1985 and signed with Polydor in the same year and had another swing at the Top 10 with Goin’ To The Bank . Today the band is reduced to a core of three. It includes Orange, King and Nicholas. They are as active as ever performing around the world. They are managing there own label, Commodore records, and more than anything else they’re still having fun!